Now you can control who can see your WhatsApp profile picture. You can delete contact if you want to hide your profile picture from that contact. You can know who has you as contact in their contacts book. People cannot see even a thumbnail image of profile picture. WhatsApp revealed the originality of friends without giving a chance of saving the contacts. Comment and share if you know anything about this. It is so not cool hey, old version was much better. Whatsapp is now dull and boring. Couldnt they just restrict downloading of the image, and allow the viewing only. 5. open whatsapp & you'll see that the contact who didnt have a pic would now have their original pic up showning once again. One of my contact I can see the thumbnail but cannot select or download the image, last seen is visible.. Y? Hello, they might have updated but have forgotten or may not have changed the privacy settings to contacts only. And hence you are able to view their info.. Cheers!! Hi! I faced the same problem 2 days back.but i Have 2 contacts who do not have my number but i can see their profile picture.. How is that?? It depends on the person's privacy settings. Some have it as "public" whilst some have it as "my contacts only". If you still facing issue delete that particular contact, refresh WhatsApp contact list and save again that contact then refresh again. you will be able to see profile picture. Few weeks back I set only for my contact to see my profile picture and last seen, but now again non contacts in my phone can see my profile picture and my last seen:(( I don't like that... I want only my contacts to see my profile picture and last seen. What is wrong. My privacy on whatsap is not working:( can anyone help or have the same problem? Try to change the settings again, and your contact should be visible in WhatsApp contact for which you are testing. i have my status set to "only contacts" if i delete a contact from my favourtites in whatsapp will they still beable to see my status or do i have to compleately delete them from my actual contact list ? Yes you have to completely delete those contacts from phone contact list to hide status from them. Hi, Delete contact then refresh contact list and check again. How can you can know who has you as contact in their contacts book. This post was published before WhatsApp introduced privacy options. Now you can not predict this until you don't know their privacy settings. is there any way i can check who are in my contacts has viewed my DP PROFILE PICTURE or is there any third party tool for android ?? if i uninstall and reinstall whatsapp, will i able to see profile pics of contacts who has blocked me . No, Create a new account and try if they have public profile picture you will be able to see the picture. Yes! you can not hide when you are online to anybody except blocked people. But nobody other than your contacts won't be able to see your last seen. hi, I am confused please help - if i delete someone from my contact list on my phone and whatsapps list but they still have my details in their phone will they still see my profile picture changes and status updates? I deleted a contact from my phone contact list, but she is still able to see changes in my profile picture. It doesn't work. Only deleting contact from phone contact will not work, you also need to change the privacy setting to my contact only. Try this and change your profile picture then check. I had the same problem. But when I took battery out of my phone and restart my phone then people who is not in my contacts couldn't see my last seen in profile pic. Hope it helps. can i ask? if i already deleted someone in my contact list, are they able to see my profile picture if i already change my setting to my contact only? Not at all but they need to refresh their contact list once. I dont want to show my whatsapp profile picture to selected contacts from my phone book, without blocking and without deleting them.....is it possible.? how to see other person's whats apps status without he save my number but i save that person's whats app number ????? First save their contact number in another phone (of which they don't have number). Check what information is missing and analyze what you see with your WhatsApp. This how you can just guess it. Only if they have set their WhatsApp privacy setting to contact only. You can check this by saving their number in a phone of which you are completely sure that they do not have that number. Hi i ve one problem ,....in my whatsapp i ve set "last seen " to only for my contacts but now am unable to see my friends "last seen" because its displaying all friends as "online" even through they are offline...i ve reinstalled already but still facing the same problem..
in addition, facing 1more problem. UNABLE2find the option2edit d GROUPicon(i am NOT d ADMIN). One of my contacts that I usually can see their last seen online status.....I can no longer see. The profile photo is still there and the status. Could this person have blocked me ? can people I'm in a whatsapp group with see my profile pic even though I set my settings as "my contacts" only??? No they will not see your profile pic if you don't have their contact saved in your phone. But they will see your number and display name which you've set in WhatsApp. Any way to check what's app profile PIC of someone who has the privacy feature on? Read it is possible via the web version of WhatsApp. Is that true? Hi, im having an issue with the last update. I have set my privacy to 'My contacts only' but my profile picture and status are still visible to those who are not in my contact list. How can i fix it plz? will my dp visible to strangers in group if my Privacy setting is "My Contact"
No, But they will see your phone number. Any way to check what's app profile PIC of someone who dont have my no and has the privacy feature on? Can I see that person dp via the web version of WhatsApp. My problem is that I have stored my friends contact in my sim .. but suddenly yesterday all noticed that my dp is not visible to them.but I had kept my dp.. then I tried to change my privacy of profile picture from my contacts to everyone. And now everybody are able to see my pro pic.. so now I need my dp to be visible to my contacts only.. What should I do now.. 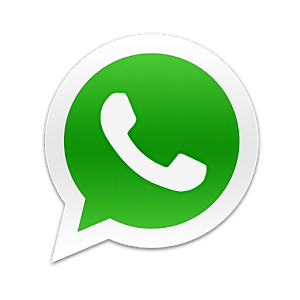 Problem can be WhatsApp do not have access to your SIM card numbers. This could be model specific problem but now new androids phone does not allow to have contacts in SIM card however you can import them from SIM card. Try reaching Phone support. No, you can not stop him even you remove everyone and delete group. This is a good feature that can be added. You can ask contact WhatsApp for this. Hi... I have joined one of the marketing whatsApp group,how can I hide my DP those group members.. Simply don't save the number of people in group memeber and keep the privacy setting of profile picture Contact only.